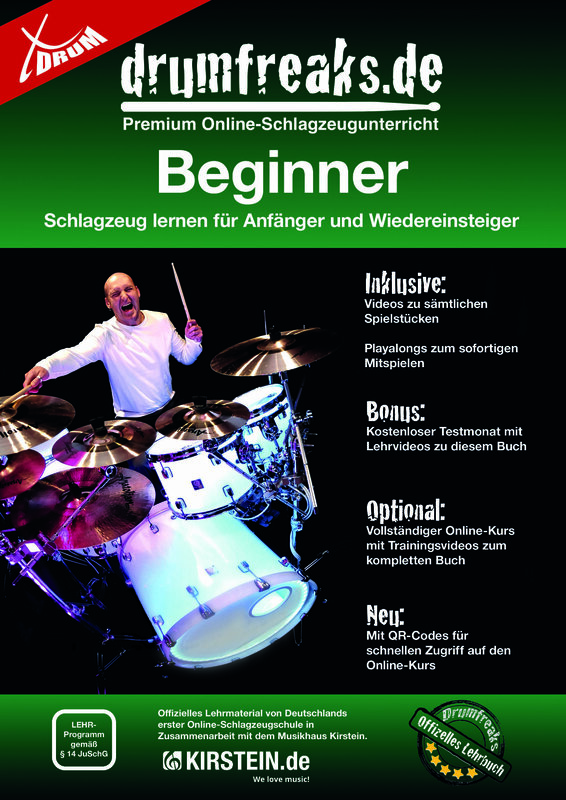 Practice cymbals consisting of a set of Hi-Hat 14" and 1 Crash Ride Cymbal 16"
As early as 10,52 € month financing with a maximum maturity of 24 months; total amount 252,48 €; Bound annual borrowing rate 5,74 %, effect. APR 5,90 %. These figures are also the representative example in the sense of §. 6a paragraph 4 PAngV Agencies are exclusively by BNP Paribas S.A. Niederlassung Deutschland, Standort München: Schwanthalerstr. 31, 80336 München. A set with everything you need to play the drums. Complete set in a robust build quality with sturdy lugs for excellent tunability and exceptionally good sound. Hardware package with easy-to-adjust tom arms for optimum adaptation to any body size. Hi-hat and kick pedal come with chain. The stands and mounts are all equipped with Memolocks which guarantees easy instalation. 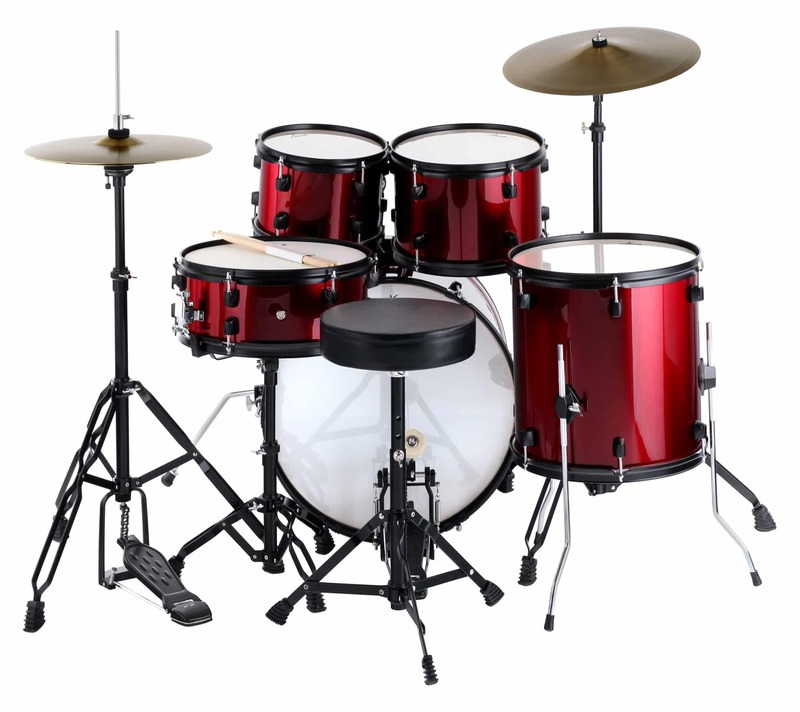 All drums are equipped with high-quality drum heads. To leave nothing more to be desired, the complete set complete comes with special practice cymbals with little sustain. 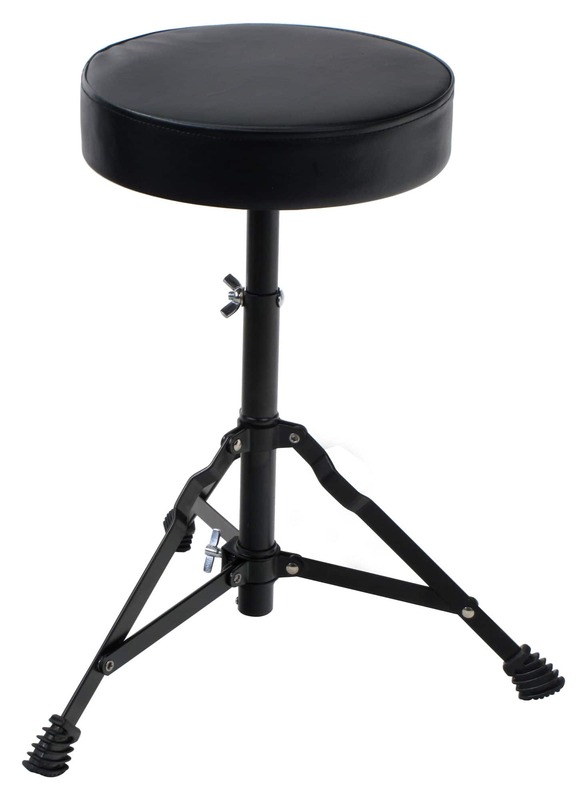 Also, a stool, a pair of drumsticks and detailed assembly instructions are included. The acoustics from the precious poplar multi-ply shells guarantees an incredibly rich and powerful sound which is unparalleled even in higher price ranges. 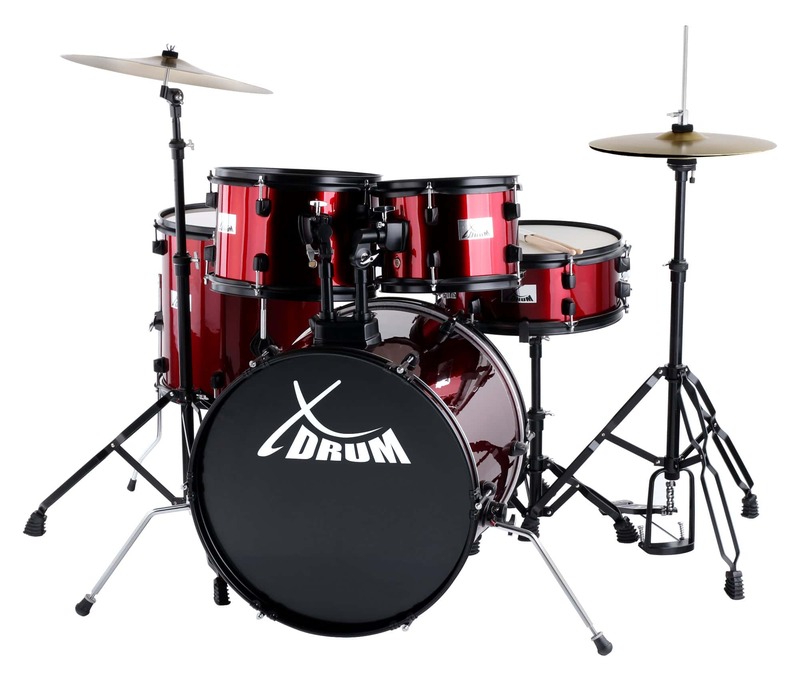 The memory locks on all adjustable hardware components allow for a once found position of drums and cymbals to be found immediately when reinstalling. This saves time working on stage, in the rehearsal room or at home. 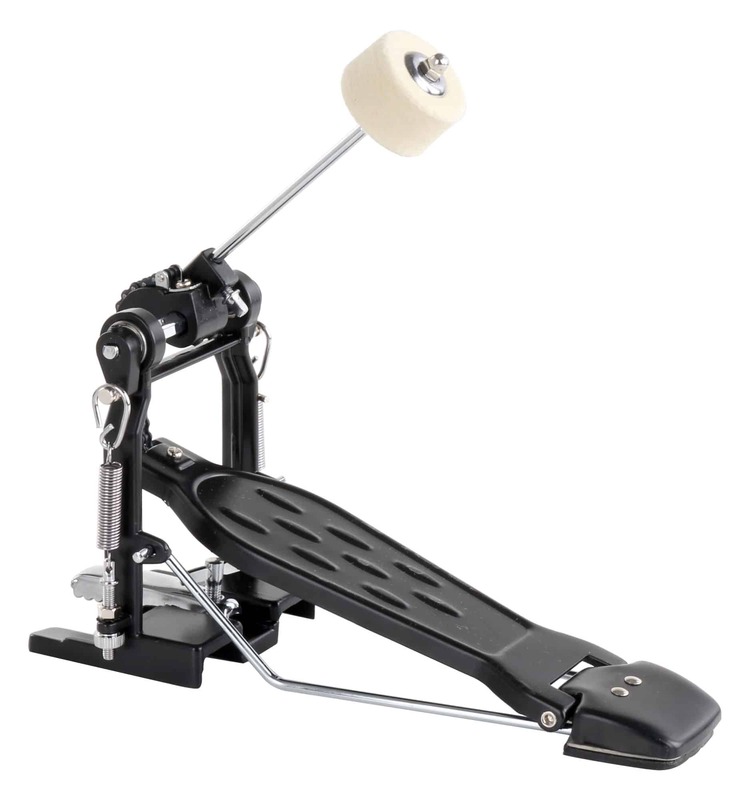 The kick pedal with chain guarantees a smooth, powerful beat at optimum playing comfort. An extremely high quality workmanship stands for long life even with many years of high stress. They can be adapted to each individual player and his playing style. Meiner Tochter macht es viel Spaß und es wird uns sicher mehrere Jahre begleiten. Excelente relación calidad precio. Fácil compra y rápido envío. Knapp vor Weihnachten bestellt, pünktlich geliefert, alles dabei, gute Qualität, übersichtliche und umfangreiche Aufbauanleitung ..... genau so möchte ich einkaufen!! !